The small particles of the super collagen water and Baobab water in the Moistfull Collagen sleep pack, endlessly provide moisture and leave your skin feeling bouncy like jelly. The moisture gel is like water droplets, refreshing and not congesting. This sleeping pack leaves your skin very moist until the morning. It moisturizes but it gets a bit sticky and it does not absorb all the way. I recommend applying a thin layer. I do love this product! I use this item before i go to bed. I LOVE THIS ITEM. I really love this! It really does keep your fave hydrated at night and when i wake up, i notice my face is brighter too. I'm african american by the way :) Peoppe have noticed that my dark spots are decreasing and my skin just looks so bright. I would like to add though that you should over sleep with this product. I find that when i sleep more than 7 or 8 hours, i wake up with dry skin. 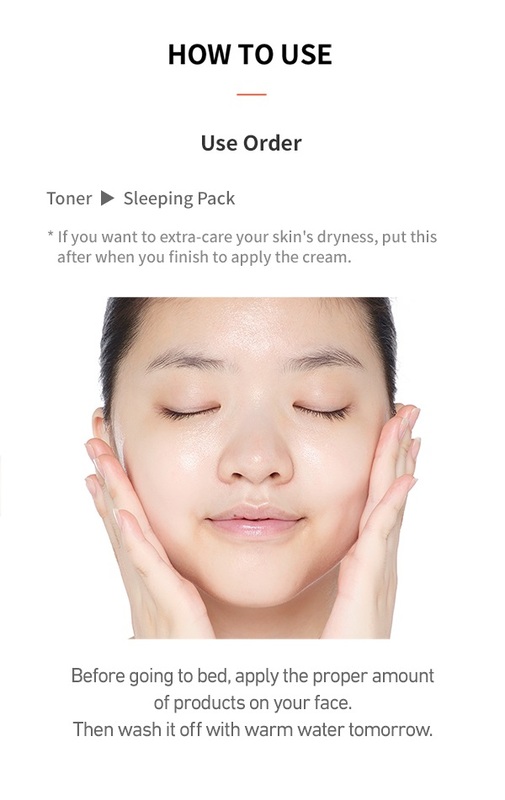 I dont think this product is meant to last more than at least 7 or 8 hours on your face because once you sleep past that, you really have nothing to wash off in the morning because it soaked in completely and dried up. I was so excited after two weeks to receive the sleeping pack only to find it was spilled all over leaving the container half empty. I'm very disappointed because this was my first order from this site. I really love this product. It absorbs into the skin well so that you don't have to worry about it rubbing off on your pillow. It seriously works well. After I wash it off in the morning, my face just feels so soft and moisturized. I highly recommend it! I had never tried a sleeping pack before, but being prone to dry skin and living in a colder climate, I figured it would be a good thing to investigate. This was the first sleeping pack I ever tried and do not need to investigate further! I have dry, acne-prone skin and this product doesn't irritate at all! It is cooling and has a pleasant smell but soaks right in so it doesn't get on your pillow. I use it every night after my skin care routine and you may not feel a HUGE difference, but my skin just over a few weeks stopped flaking and having dry patches. One night I tried to go to bed without it and my skin just felt...dry and unhappy, that's when I realized how much this product was doing for me. A little goes a long way and I didn't need to repurchase for 5 months! I definitely would recommend this as a first step if you're thinking about transitioning to a korean skincare routine.